Mike Rumph was taken in 2002 and shifted between cornerback and safety while being saddled with injuries (he played just five total games in 2004 and 2005). He was released before the 2006 season. Kwame Harris was chosen in 2003 with the idea that he would man the left tackle spot for the ensuing decade. He has been an average to barely above-average player for the 49ers who has been in and out of the starting lineup on a consistent basis. He is still only 25 years old, but the organization’s patience has been waning thin. Rashaun Woods was the choice in 2004 and he lasted one season as the team’s Wide Receiver of the Future, catching seven passes, before suffering injury after injury and eventually getting released. Alex Smith was the top overall pick in the 2005 draft, and aside from showing promise under the tutelage of then-offensive coordinator Norv Turner, Smith is facing a career crossroads next season. He will go to training camp likely battling with Shaun Hill as the team’s starting quarterback. Vernon Davis and Manny Lawson were dual first-round picks in 2006. Davis has yet to show the football-playing ability that his athletic prowess would suggest. He also needs to stay healthy. Lawson showed great promise in his rookie season before missing his entire sophomore campaign with a torn knee. 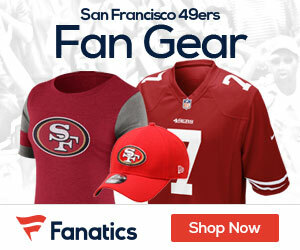 The 49ers again had dual first-round picks in 2007 with the selections of Patrick Willis and Joe Staley. Willis is the only first-rounder of the last five years who looks to have the ability to live up to his hype. He is amazing and should be a Pro Bowl staple for years to come. Staley played inconsistent in his rookie season but should be a starter next year. His development will be interesting to observe next season. In review, the 49ers have had eight first-round selections in the last five drafts. Two are no longer with the team, three have been disappointments but are still young enough to develop into good-great players, two haven’t played enough to thoroughly evaluate them, and one looks to be a sure-fire productive player. That’s a reprehensible track record and the 49ers, if they want to make strides to again capture the top of the NFC West, need to turn it around in the 2008 draft. 1 Comment on "49’ers Have Had First-Round Struggles"
I agree with most of your opinions here, with the exception of Staley. He played very well as a rookie. The rest of the picks before 2005 were all made the the idiot Donahue. I can’t say he made many right picks and left McNolan with bare cuppboards.